The General Data Protection Regulation Template in PowerPoint format includes three slides. Firstly we have the slide describing 28 EU and 31 EEA member states highly impacted by GDPR compliance. Secondly GDPR is applied for three subjects. Thirdly the PowerPoint template is for Personal data scope. As the same series, you can also find our Data Mining, Machine Learning, cloud computing, Artificial Intelligence and BlockChain PowerPoint templates. The General Data Protection Regulation PowerPoint templates include three slides. 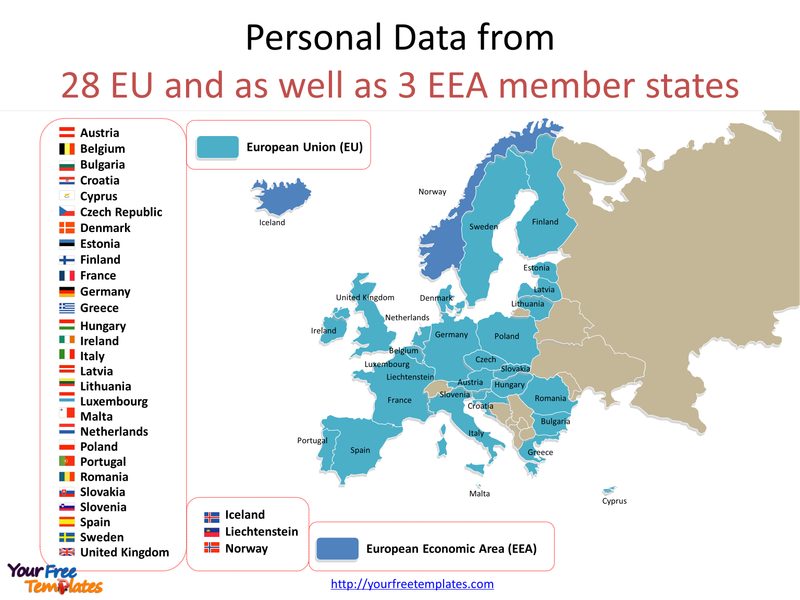 Slide 1, GDPR PowerPoint templates with EU and EEA member states. There are 28 EU and 31 EEA member states in total. First of all the 28 EU states are all the members of EEA. But for EEA there were only 3 states not in the EU, they are Iceland, Liechtenstein and Norway. 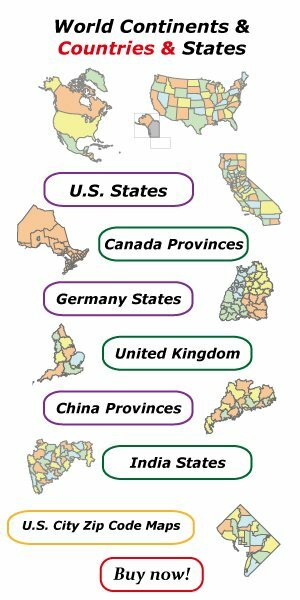 You can also find the maps in our site for those 28+3 countries. They are Austria, Belgium, Bulgaria, Croatia, Cyprus, Czech Republic, Denmark, Estonia, Finland, France, Germany, Greece, Hungary, Ireland, Italy, Latvia, Lithuania, Luxembourg, Malta, Netherlands, Poland, Portugal, Romania, Slovakia, Slovenia, Spain, Sweden, and United Kingdom. Then GDPR compliance is the top concern for organizations in EU. The data controller comes first, and then is the data processor, the data subject in the end. 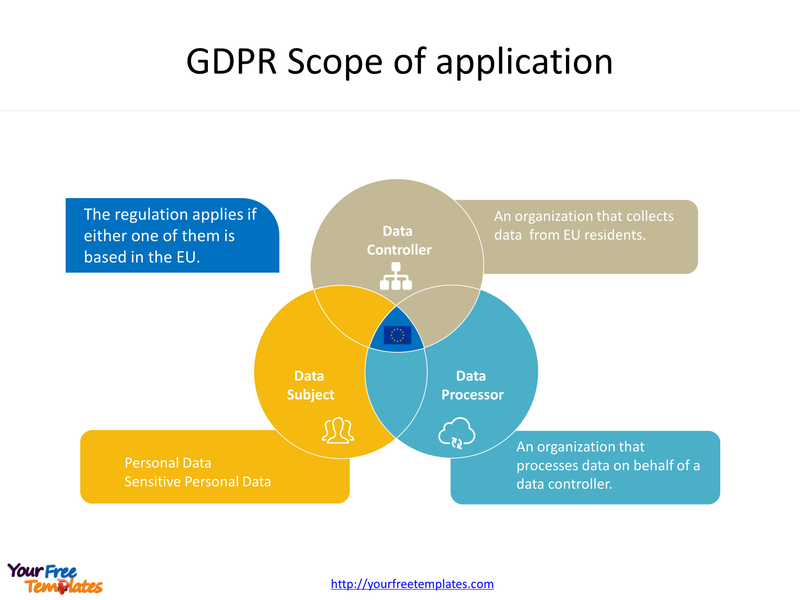 The regulation applies if the data controller (an organization that collects data from EU residents), or processor (an organization that processes data on behalf of a data controller like cloud service providers), or the data subject (person) is based in the EU. All the organization in the world should observe GDPR compliance in spite of size or revenue. 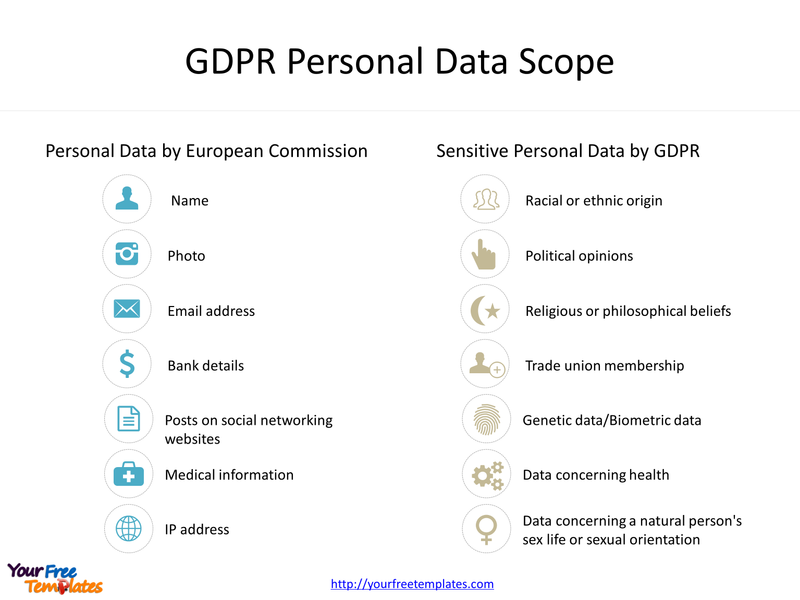 Any database containing personal or sensitive data collected within the EU will be in scope, as will any media containing personal or sensitive data. So it can be used as checklist for GDPR compliance.